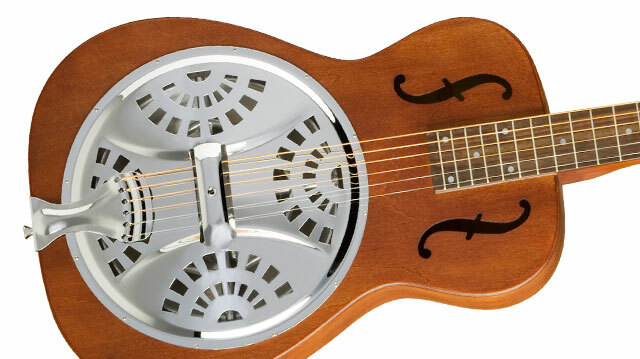 The Dobro® resonator guitar has been an American classic since its arrival in the early 1920's. The wood resonator or resophonic style guitar became a national phenomenon thanks to Dobro® pioneer Bashful Brother Oswald, who became the instrument’s ambassador performing it weekly on the Grand Ole Opry for over 60 years. The resonator guitar is not only an iconic instrument for bluegrass and traditional American music. In the last decade, popular artists in country, blues, and bluegrass have rediscovered the beautiful and challenging Dobro. In addition to the bridge’s ebony saddle which sits atop a maple base, the full warm tone of the Hound Dog Square Neck is enhanced and projected by a new proprietary nickel plated Dobro® cone with a nickel fan cover plate, round sound holes with screens, and classic f-holes. The Original Dobro® Hound Dog Square Neck is stunning in both appearance and vintage tone and features a maple wood body with 3.5” depth and a classic single cone resonator/spider bridge construction. The vintage style square mahogany neck joins the body at the 12th fret has a classic 25” scale and 19 frets, a standard 12” radius, and a raised 2” nut. 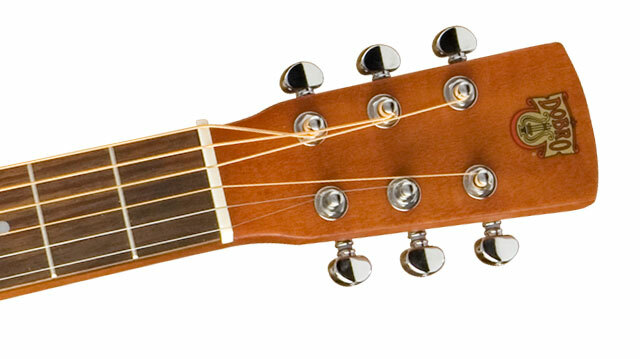 The single action adjustable truss rod has a classic “bell” cover. Most vintage Dobros® now suffer from years of wear and tear along with an out-of-reach price tag that makes them unaffordable for most musicians. The Dobro® Hound Dog Deluxe Square Neck brings back the cherished Dobro sound with modern building techniques that can last for a lifetime of playing and all at an affordable price. The Hound Dog Square Neck comes in a beautiful and distinctive Vintage Brown (VB) color finish. The Hound Dog Squareneck includes Epiphone’s all metal hardware including premium Grover® machine heads and a nickel plated tailpiece.